Our grandparents are running this country. The complete and utter lack of understanding I heard from members of Congress was completely stunning. We have legislators suggesting policy changes who don’t have the slightest clue how social media works for marketers. One example was questioning from Sen. Doris Matsui, representing the 6th District of California. When Zuckerberg explained that if you didn’t want your data out there, you simply don’t post it, Matsui went on the attack. Repeatedly, she asked questions centering around the theme, “Well, that’s fine, but once the data is out there, then it can be abused going forward…”. Umm, yeah, actually, not. I can’t “buy” data from Facebook. What I can do is use current data in targeting my campaigns. If your data is currently out there, I can use this information to help focus my ad delivery. When I want to reach left-handed, cat lovers in Central Iowa, I can use Facebook targeting to look for people with those qualities in their profile, feeds, and engagement. AT THAT TIME. 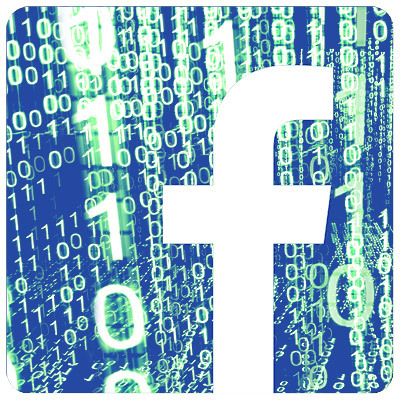 Facebook uses real-time data to help me target campaigns. I felt badly for Mr. Zuckerberg as he tried to explain this to a Senator who seemed lost in the era of the flip phone. Facebook does NOT hand me a data file. They understand that this would be a clear violation of privacy standards. It’s a long-held truth in marketing media planning that eliminating waste is a key to campaign success. The best way to do this is to try to connect with prospects who have qualities that are likely to make them interested in your message. In short, we try to match needs to product attributes. That’s why social media advertising has been such a revolution. People will tell you what they like and value. And I can laser-focus my message to just those people. In all candor, as a consumer it helps ensure you get more of the information you’re interested in, and less of what you don’t care about. Yes, there are those who abuse this, but that’s a whole other blog post. Also, we’ve been able to acquire information since well before Facebook. Since before Zuckerberg was born, actually. Ever buy an electric razor or other small appliance that came with a warranty card? Of course you did. Are you aware that the data you provided about your hobbies, interests, and income have absolutely zero to do with a warranty? For years, you sent these cards to the Denver address of a division of R.L. Polk called National Demographics and Lifestyles (NDL). The nice folks at NDL would then sell this information to marketers like me so I could append my database to enable me to locate the aforementioned lefty cat lovers in Ames. Remember those nice folks at R.L. Polk? Guess what we used to buy from them? Your driver’s license information. So, when we were marketing weight loss surgery, all we needed was your height and weight. Run a simple algorithm, and PRESTO, we know if you’re morbidly obese. Does Facebook take this to another level? Absolutely. But for Congress to pretend that we couldn’t already get to plenty of information is incredibly naïve. I’m quite certain many of them used this information to get elected. If you’re interested in a brief history of the rise of these lifestyle databases, check out this article. Facebook – like most other social media – is a for-profit enterprise. Anyone who thinks otherwise is foolhardy. Don’t want your information used? Don’t put it out there. But to try and convince the American people that Cambridge Analytica somehow bought a magic database only shows ignorance. With all of this said, I do think this week’s testimony and surrounding uproar will bring some much-needed cleanup to the social media industry. Already Facebook and Instagram are locking down third-party developers via the API from being able to access information without your permission. Expect this trend to continue. And, expect the social media networks to make a greater effort to enable you to more transparently see which apps may be using your data. This is a good thing. P.S. I also enjoyed the uproar over Mr. Zuckerberg’s untailored, ill-fitting suit. This is a guy whose trademark has been t-shirts and hoodies. He only put on the suit to appease a generation that’s lost touch with the current world of technology. Referrals are the headwaters of lifeblood for an agency – new business. We greatly appreciate our solid clients, but to survive and thrive, an agency needs new clients. Agency network Second Wind tells us that most agencies average 15% per year in lost billings due to client turnover. What this means for us is a continual need to find new clients. And, what’s the best way? Agency development consultant John Heenan recently completed a survey of marketer preferences. In it he found that 51% of marketers prefer to learn about a new agency by way of a referral from a friend, colleague, or peer. The numbers for other methods of contact fall off dramatically. Another interesting discovery from Heenan’s research is that you are being flooded by agency news business contacts. In this survey, 56% of marketers report receiving 3-10 new business inquiries per week from agencies. And, this was a tremendous reminder of how much we appreciate our loyal clients. Despite being bombarded by agencies promising you the moon, you choose to work with us. Our sincerest thanks for your loyalty! This is where you come in – we both need and appreciate your help. If you feel you’re getting great work and solid results from PWB, why not tell a friend? We’re not looking only for people who are actively seeking an agency, we love to build solid relationships that grow and evolve. Know a peer at another company who might need our services? Please help us connect. Whether they’re in a marketing role or not (while marketing is best, leaders in other functions are also generally solid), this really helps us cut through the onslaught of agency inquiries. We appreciate these referrals more than you know, and we’ll definitely show our appreciation in return. We’re not talking “send us a referral and you’ll get a gift card from _______.” We’ll show you in real, thoughtful ways that are personal and indicative of our gratitude. How can you help? A conversation with your peer, friend, or colleague would be great. If you’re not comfortable with that, a simple e-mail connecting both parties would be equally awesome. Or we’ll buy you both lunch, or breakfast, or and adult beverage (or two…). Thanks, in advance for any help you can lend in PWB’s continued success! And, thank you for your loyalty! Does Your Content Have Superpowers? A few years ago, while serving on a social media panel during a presentation to a local entrepreneurial group, I casually remarked that, “Content is everything; social media is just plumbing.” In the years since then, I’ve seen this proven over and over both with clients and with brands I follow. 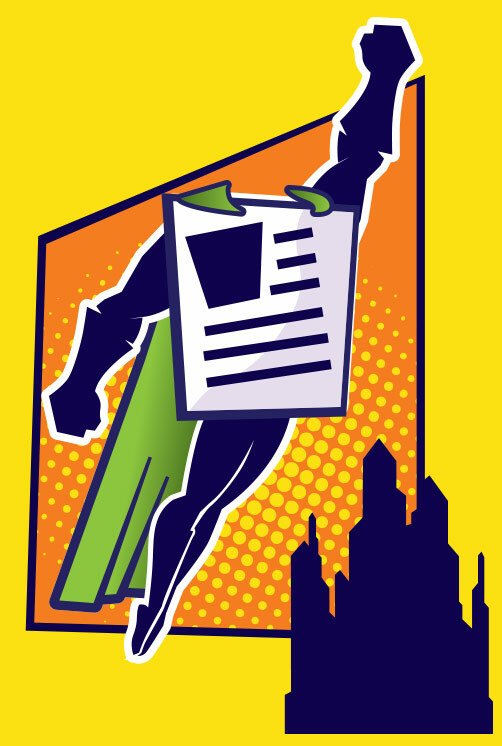 In order to succeed, your content marketing needs superpowers. This post examines some of the content marketing your brand needs to succeed. Social – more than any other medium – has to connect with what your customers and prospects want to learn. If it doesn’t, they’re on to the next thing. Too many marketers are pushing content that THEY want to tell customers, as opposed to information that customers are seeking. Remember the old days of “sticky” web content? Where your reason for existence was to get customers to return to your web site? Sticky content and content marketing are essentially the same concept. According to a study by DDB Worldwide and Opinionway, 84% of a company’s fans are already customers. Only relevant, interesting, and fresh content keeps people coming back. In his book Socialnomics, Eric Qualman observes that social media marketing is, “More like Dale Carnegie than Mad Men. Less about selling and more about listening.” Social is a unique channel because of its allowance for real-time dialogue. Harness this ability with content that asks questions, solicits opinions, and takes other actions to encourage audience response. Successful content marketers generate content for use across multiple channels. A LinkedIn post might lead to a white paper on your web site, expanding on the post topic. A targeted Facebook ad might direct users to a a topic-specific landing page. Great content is great content – just be sure to recognize the unique nature of each channel and modify appropriately. For example, text on a web page won’t make a dynamic Pinterest post without adaptation. What does your brand stand for? How are you positioned? What is your unique value proposition? Content marketing should clearly and consistently support your brand and values. If you don’t have a clearly defined set of brand values, we can help you with that. These are but a few of the content marketing superpowers your brand needs. Want to know the others? Or put this to work? We should chat. http://pwb.com/wp-content/uploads/2015/02/logophsr-300x58.jpg 0 0 Keith http://pwb.com/wp-content/uploads/2015/02/logophsr-300x58.jpg Keith2016-05-27 13:02:272016-05-27 14:49:23Does Your Content Have Superpowers? I have been updating a couple client social media sites recently and realized that it has been a while since we updated a social media image size guide. In fact, June 2013 was the last time I published information on correct sizing of images! The size of social media images changes from time to time, so having the most current data available is paramount. Each social media profile has unique size specifications and failure to properly size images may result in misalignment, cutting off part of the image or simply not being able to post them. There is nothing more frustrating to me, than seeing a company that does not have consistent branding across all social media profiles, so please feel free to print and reference this social media image size guide. This infographic is a great source to reference when creating the correct size images for your LinkedIn, Facebook, Google+ and YouTube, Twitter, Instagram and Pinterest. Having trouble managing your social media? Need assistance with analytics or even initially creating your social media presence? Perhaps a social media audit is necessary. Regardless of your need, PWB marketing can assist your company in getting the most from social media. Call our office today at 734-995-5000 for your social media answers. I received a notification from LinkedIn today about changes coming to our LinkedIn Company Page after April 14. Specifically, LinkedIn is removing the Products & Services tab from all Company Pages. We constantly evaluate how features are used and are making this change to focus on areas of the product that have proven more valuable for administrators and more engaging for your followers. Ultimately though, I think it is more likely to be about the almighty dollar. There isn’t a cost to the latest changes, however in reading various LinkedIn Since support forum posts it seems that LinkedIn is exploring options. Certainly these options would be helpful to marketers but likely have an associated cost as well. After April 14, the best ways to extend reach on LinkedIn will be through Company Updates or Showcase Pages. Company Updates certainly are the best way to build relationships with followers. Requiring only the man-power to post, updates spread Company messages to user networks. Updates can be seen on a Company Page and in user newsfeeds, including on mobile devices. While more time consuming, this may be the best way to quickly extend reach. Showcase Pages are intended to build long-term relationships. The biggest challenge is that a Company is limited to having 10 Showcase pages. The audience for Showcase Pages are members who want to follow specific aspects of your business on a dedicated page for prominent products and services. To avoid losing your content, and maintain any optimization of your messaging on your LinkedIn Company page, it is best to address changes before April 14. Do you need help managing your social media profile? Running out of time to post updates? PWB Marketing Communications can assist in building and managing your online presence. A week ago when I logged in to a clients YouTube channel to upload some video, I noticed a prompt that made me grown. I was notified that the channel layout was about to change. Again. “Upgrades” or changes often mean the creative needs to be edited when branding a social media site like YouTube. What does this mean to me? It means that I will be busy for the next little while adding new creative to each client channel PWB manages. In this case it was alright though, since the client’s (Uniloy) YouTube channel needed new artwork anyway. What I discovered though is that as part of the process, you are “encouraged” to edit your Google+ page.For my personal reference, that is why I had one of our art directors create a new Social Media branding Infographic. The changes to cover art sizing are frequent enough, and none of the channels – Facebook, Linked In, Twitter, Google+, YouTube – have the same size images. Heck, they don’t even have image sizes that can be easily scaled when branding your social media pages! So please feel free to use this infographic for your reference when adding branding to any of the popular social media sites! The infographic will help you create the correct size images for your LinkedIn or Facebook cover photos, Google+ channel art or Twitter and YouTube header! When editing social media sites, it is important to remember what size images are for creative branding! Use this infographic as a reference to understand what size images you will need for your LinkedIn or Facebook cover photo, Google+ channel art or YouTube and Twitter header image. One word of caution. Although my art director created the exact size image for Google+, we needed to trick the system by adding a couple of pixels to the height and width. Otherwise the image would not load to the site! Sharing photos in social media often improves the chances that posts get views. It can also help improve user engagement. Hubspot recently reported that Facebook posts using photos received 53% more Likes. In fact imagery is one of the major reasons for the Facebook News Feed redesign. Simply slapping images into posts onto Social Media sites, like Facebook or Twitter isn’t going to cut it. Want to see a great example of sharing photos in social media? Last week on Facebook, I noticed an image shared on The Soup Facebook Page. It wasn’t simply loaded to the wall in the hopes that someone would see it, instead the photo featured a large yellow rectangle blocking the image. Viewers were then instructed to click-through to see the image, then come back to Facebook to comment on the “Caption This” photo contest. You may ask yourself, “Why is that important, or in the very least, why would that be noteworthy?” I would then argue that in posting an image with a good part of it blocked, the viewers are drawn in. They are drawn in by the yellow block but they also get the “what’s behind the curtain” feeling and want to peek. That my friends is user engagement. The Soup’s social media interns have just caused fans to take an action! What makes this example even more special is that the contest wasn’t being run on entirely on The Soup Facebook Page. The post directed viewers to click-through to The Soup to see the image, then asked the viewers to come BACK to Facebook to post their comment. Pretty brilliant eh? Simplicity often is. A week later The Soup posted the entire image to their Facebook Page which included the best caption. They also wrote a second blog post about the image and Caption This contest that included a second award for the comment with the “Most Likes.” Want to see if YOUR comment won the most likes? You created more user engagement by having fans click-through to the blog yet again. Want to know something even more amazing? Between their website analytics and the basic analytics Facebook provides, The Soup should be able to guage the effectiveness of the contest, two Facebook posts and two blog posts! It must be working for them. There are more “Caption This” contests happening that include the yellow rectangle. Now lets’ stop for a moment to consider the many social media sites. How can your business grab attention on each of them by posting photos? Are there things your company can do to improve user engagement acorss channels? With millions of potential viewers and rapidly growing social media platforms this better be something your company is thinking about. Using photos on the many social media platforms often increases visibility. Are you using images to reach more readers? Does using photos improve user engagement?